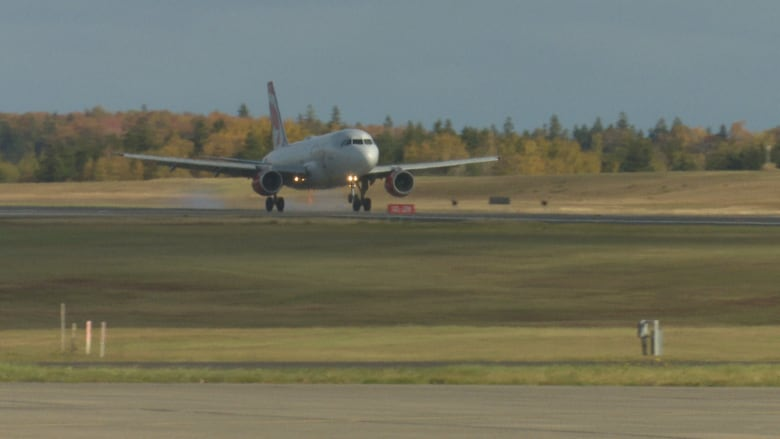 Air Canada and WestJet have "significantly" increased their overall seat capacity for the upcoming summer months, the Charlottetown Airport announced on Wednesday. WestJet's peak season capacity is up 11 per cent. "I think it just shows that the flights in the summer months have performed really well and they have a lot of confidence in the market, the tourism industry and what's going to happen this summer on Prince Edward Island." WestJet also announced it will be adding two additional flights per week to Toronto in July and August — with some of these flights being operated by their new 174-seat Boeing 737 MAX aircraft. The airport also announced Air Canada will be operating a second 50-seat flight to Ottawa starting June 10. The airport has seen increasing demand for an additional Ottawa flight, Newson said. "Over the past number of summers they have operated only one flight a day on the Ottawa market and it's done very well so we had been asking Air Canada to consider either a larger plane or a second flight," Newson said. The airport hopes to eventually have more capacity outside the summer months as well, he said. "It's going to be a busy summer at the Charlottetown Airport but we're looking forward to it and I think it's going to be great news for the tourism industry on P.E.I.," Newson said.